Travelling to Europe from East Asia in the 1890s was a long way. But why, of all places, Alsace-Lorraine that had been annexed by the German Reich in 1871 and had become the Reichsland? 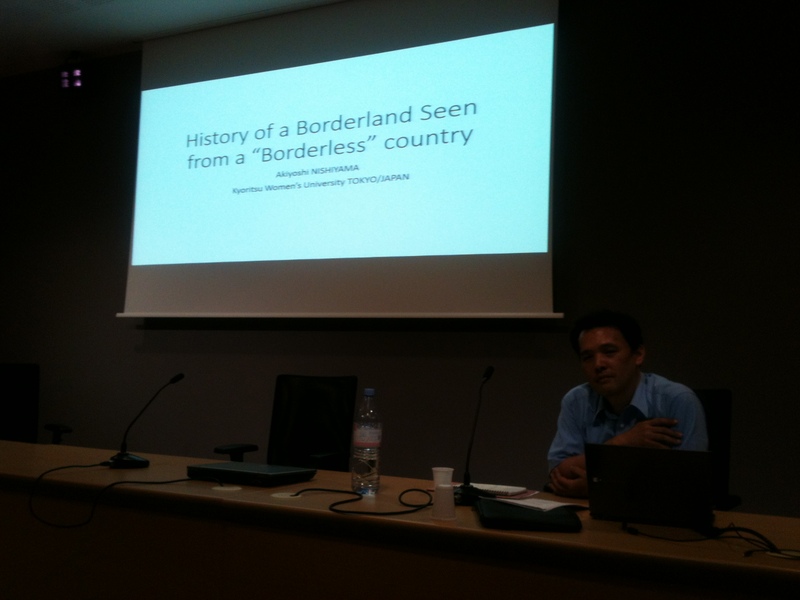 This was the focus of Akiyoshi Nishiyama (Tokyo) in his witty and fascinating key note on “A Borderland seen from a ‘borderless’ country”. After the Meji Restauration in 1868 and during the early decades of the expanding Japanese Empire, expeditions and individual experts were sent to Europe and Germany in particular. The German Reich was regarded as the country to study. It was here where the Japanese government and experts thought to learn how to do Empire. Prussia was regarded as similar to Japan in recent history – from small and second-rank to European power. The borderlands of the Wilhelmine Empire, Alsace-Lorraine in particular but also the Posen region, were seen as ethnically mixed regions from which the ethnically homogenous Japan could learn during its phase of expansion into East and South-East Asia. This was the context in which missions and individuals were sent to the Reichsland to study language policies, education and administration in the border region.